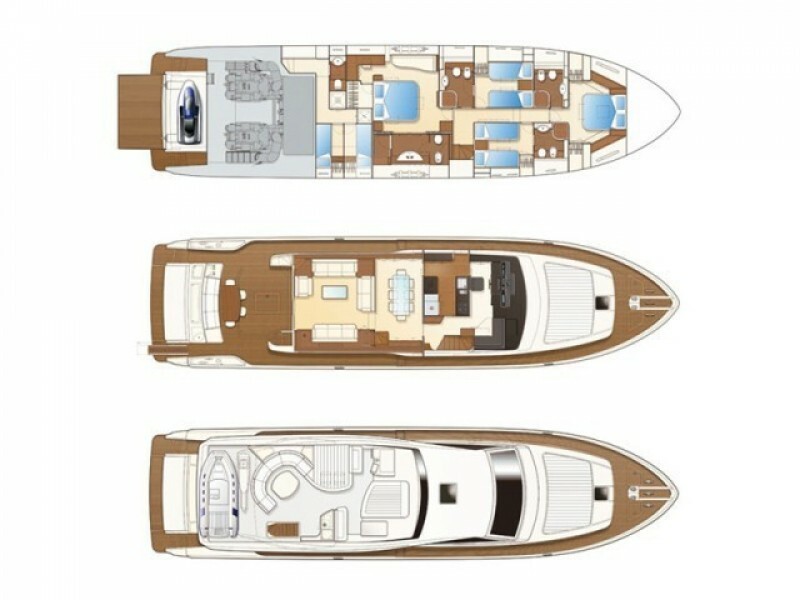 The Ferretti 780 ORLANDO L is a well-known charter yacht in the Adriatic. It is based in Split, an ideal starting point to discover some of the 1000 Croatian islands and its amazing coast. ORLANDO L accommodates 8 guests in 4 elegant en suite cabins. She boasts spacious forward sunbathing areas and a flybridge, with comfortable seating, offering maximum comfort and relaxation, as well as a shaded aft deck with a dining area, separated from the salon by a step. The gate opens fully to transform the stern area into a spacious bathing platform with beach club feel. Generous flybridge with wet bar including ice maker, cool box and BBQ.